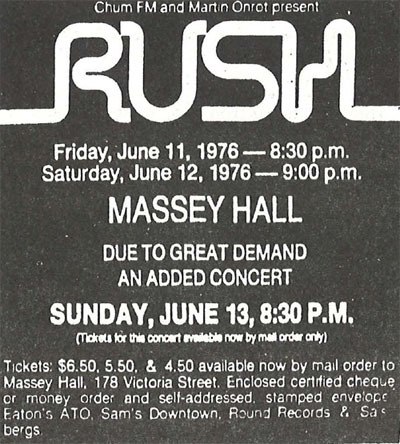 Max Webster's debut album was released in May 1976, and these three dates supporting Rush at Massey Hall in Toronto soon followed. On the first night Kim came on stage dressed as a Sheik, head dress and all. 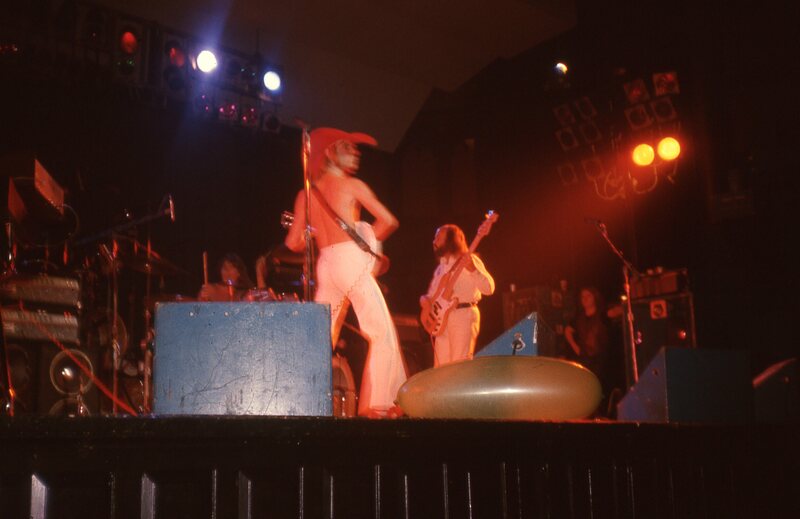 They won over plenty of new fans, and were even asked for encores. Rush recorded their "All The World's A Stage" album at these shows. 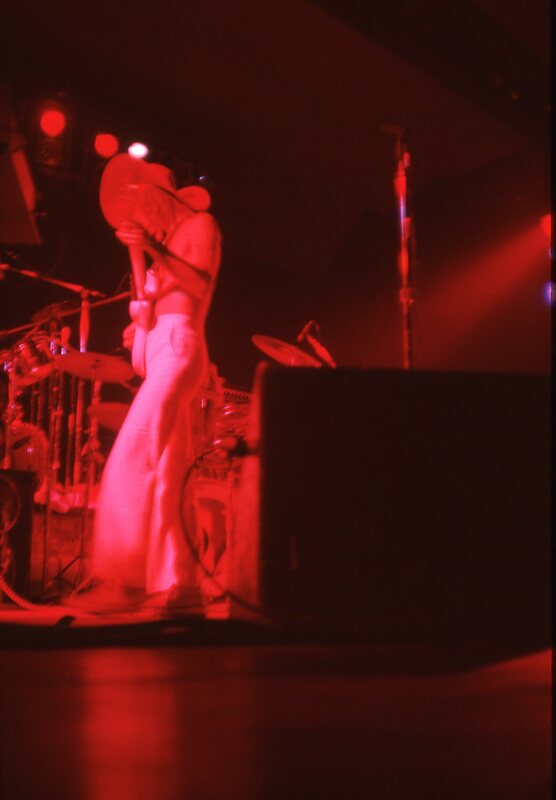 This first night apparently wasn't a strong one for the band, and Geddy Lee even broke a string on his teardrop bass at one point. 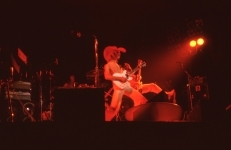 The live album mostly comprises of the second and third nights. But Max Webster was great on all three nights. "The inside joke at the time was that they used our applause for the album. We were hot that night," recalls Paul Kersey. He adds, "That was Kim's debut for the hat out of the purse." 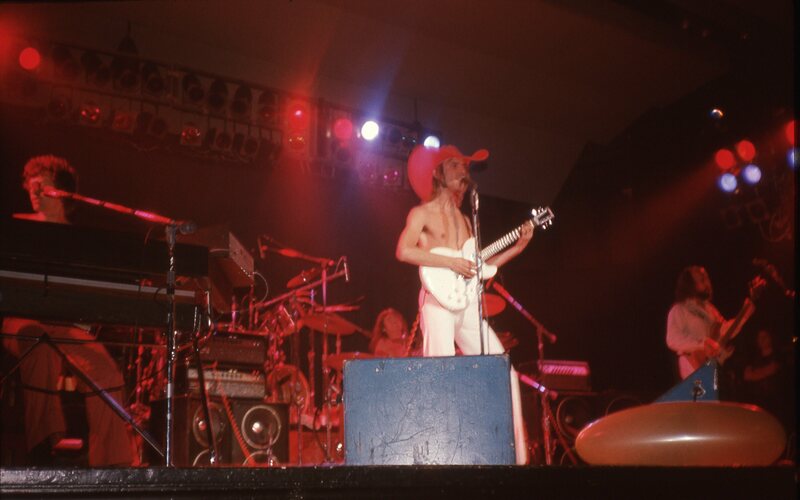 Kim would often turn the hat 90 degrees between songs. 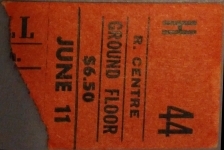 The evenings of June 11th, 12th and 13th had been triumphant ones for Toronto's Rush. 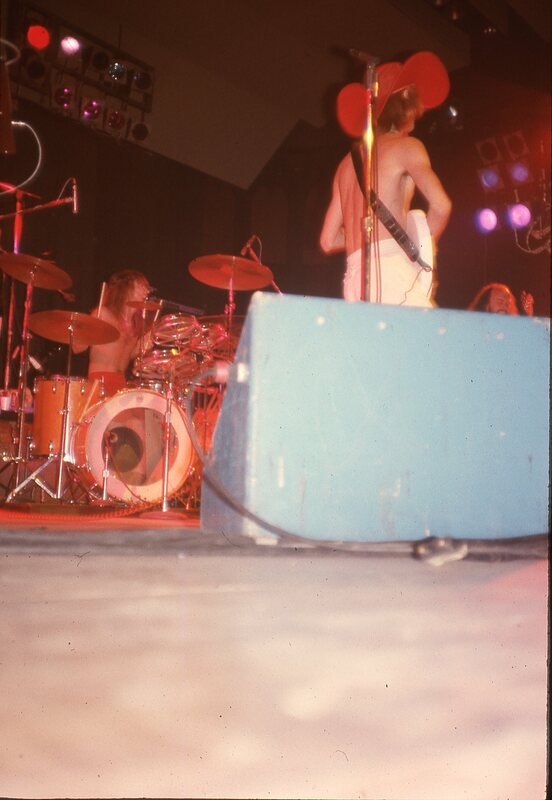 Two years earlier, the metal rock trio had fronted for Nazareth at Massey Hall; now they'd returned not only to headline three sold out performances on the same stage, but also to record a two record live album. 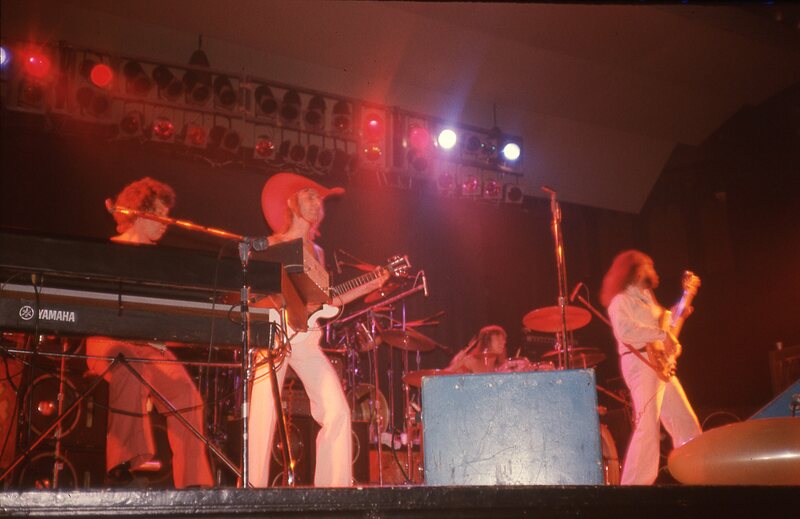 One might have termed it the classic story of a hometown band making good. 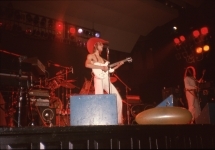 Yes, although few in the audience were giving it much thought, history was in the process of repeating itself — this time with Max Webster, a progressive rock group comprised of lead vocalist / guitarist Kim Mitchell, bassist / vocalist Mike Tilka, Terry Watkinson (keyboards and vocals), and drummer Paul Kersey. As the opening set progressed from zany comedy numbers like 'Toront Tontos' to polished rockers like 'Coming Off The Moon' and 'Hangover', it was obvious that the same mania was there. The boisterous response — culminating in an encore — told the whole story. The locals were getting off on Max Webster, just as they had when Rush opened for Nazareth two years earlier . . . 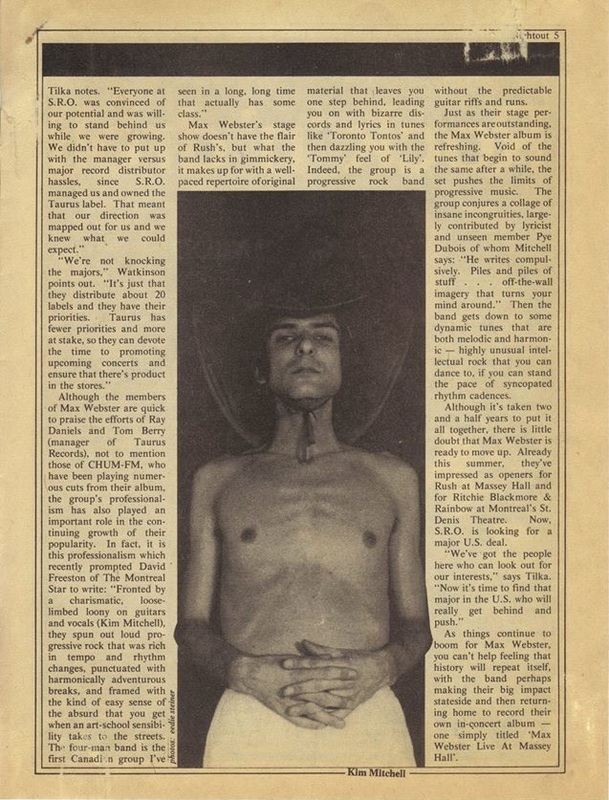 Some seven weeks later, the members of Max Webster muse about the success of the Massey Hall dates and the growing sales of their debut album on Taurus Records. "Most of the really important concerts are engineered by either management or a record company," says Mike Tilka. "The only question is whether the band has the talent to capitalize on the opportunity. 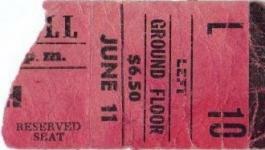 We hoped to get a lot of mileage out of the Rush concerts, but we didn't except the phenomenal reaction we got. 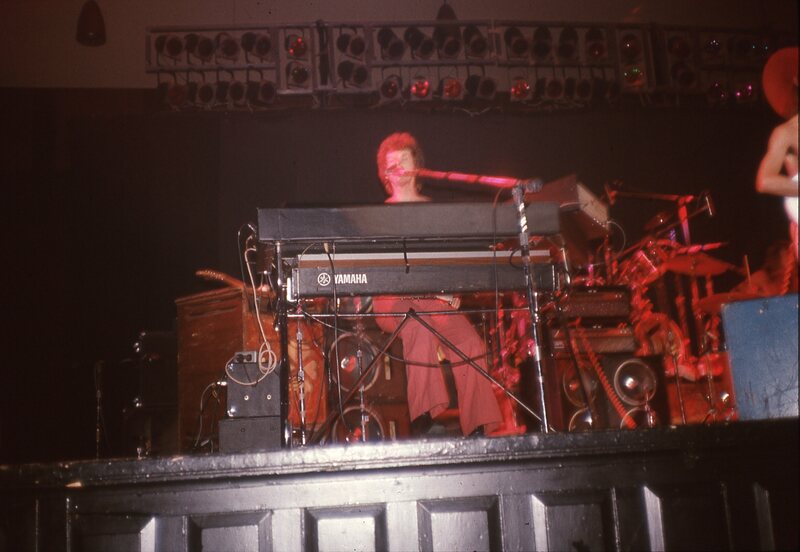 The crowds were really great." "And it's been like that everywhere," Terry Watkinson adds. 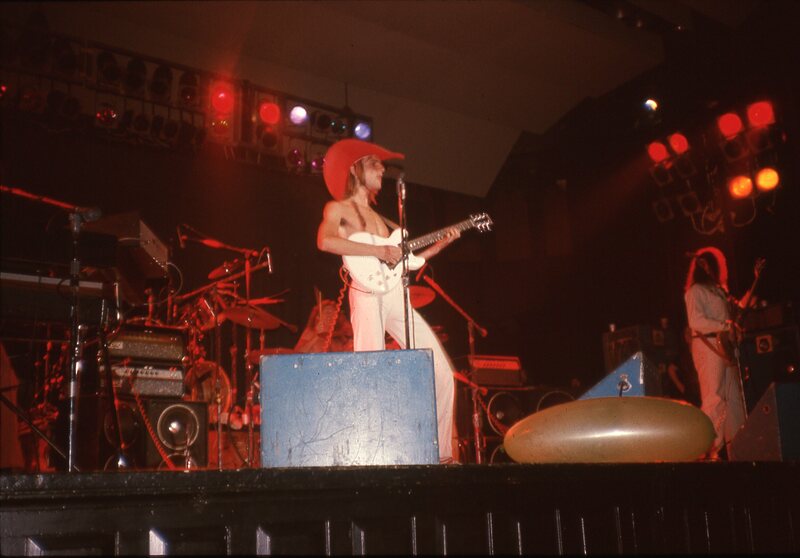 "We did The Electric Circle in Quebec a couple of months ago and some of the reps from London Records flew up to catch the act. (London Records distributes Taurus in Canada.) From then on, they were behind us 100 per cent." "We've played every bar in Toronto, not to mention the ones from Thunder Bay to Quebec," Kim Mitchell interjects, prompting a chorus of laughter. "We've all gone the usual route from playing Elvis Presley numbers in small town hotels to starving while we got it together." 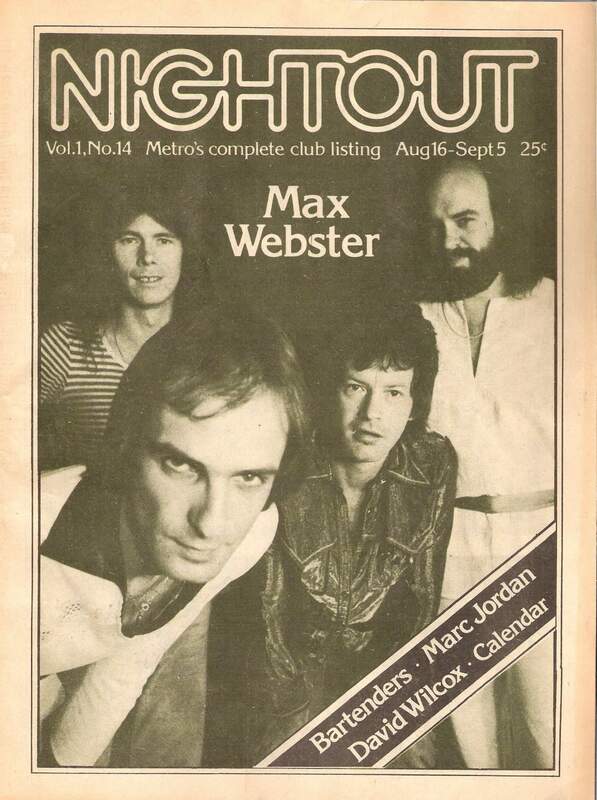 Some four years in the making, Max Webster debuted its present membership about two and a half years ago, playing the Ontario club circuit and eventually pounding on the doors of record companies that were unwilling to take on a group as progressive as they were. 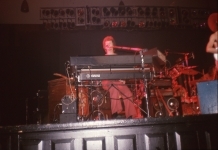 Then Ray Daniels of S.R.O. 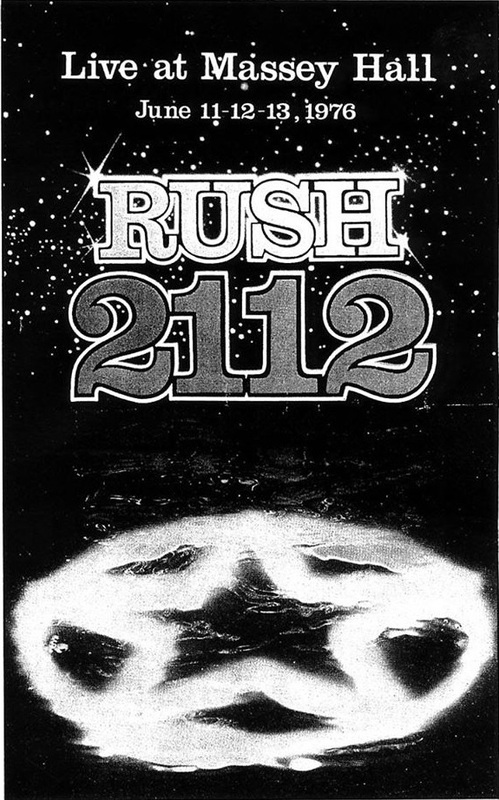 Productions came along and, just as he'd established the Moon label to launch Rush's first album, he founded Taurus Records to break talents like Liverpool and Max Webster. "It's been a great asset to have a small independent label behind us," Tilka notes. "Everyone at S.R.O. was convinced of our potential and was willing to stand behind us while we were growing. We didn't have to put up with the manager versus major record distributor hassles, since S.R.S. managed us and owned the Taurus label. That meant that our direction was happened out for us and we knew what we could expect." "We're not knocking the majors," Watkinson points out. "It's just that they distribute about 20 labels and they have their priorities. Taurus has fewer priorities and more at stake, so they can devote the time to promoting upcoming concerts and ensure that there's product in the stores." 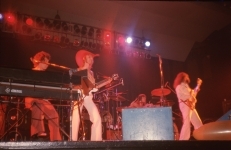 Although the members of Max Webster are quick to praise the efforts of Ray Daniels and Tom Berry (manager of Taurus Records), not to mention those of CHUM-FM, who have been playing numerous cuts from their album, the group's professionalism has also played an important role in the continuing growth of their popularity. In fact, it is this professionalism which recently prompted David Freeston of The Montreal Start to write: "Fronted by a charismatic, loose-limped loony on guitars and vocals (Kim Mitchell), they spin out loud progressive rock that was rich in tempo and rhythm changes, punctuated with harmonically adventurous breaks, and framed with the kind of easy sense of the absurd that you get when an art-school sensibility takes to the streets. The four-man band is the first Canadian group I've seen in a long, long time that actually has some class." Max Webster's stage show doesn't have the flair of Rush's, but what the band lacks in gimmickry, it makes up for with a well paced repertoire of original material that leaves you one step behind, leading you on with bizarre discords and lyrics in tunes like 'Toronto Tontos' and then dazzling you with the 'Tommy' feel of 'Lily'. 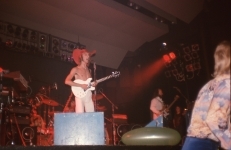 Indeed, the group is a progressive rock band without the predictable guitar riffs and runs. Just as their stage performances are outstanding, the Max Webster album is refreshing. Void of the tunes that begin to sound the same after a while, the set pushes the limits of progressive music. The group conjures a collage of insane incongruities, largely contributed by lyricist and unseen member Pye Dubois of whom Mitchell says: "He writes compulsively. Piles and piles of stuff . . . off-the-wall imagery that turns your mind around." Then the band gets down to some dynamic tunes that are both melodic and harmonic — high unusual intellectual rock that you can dance to, if you can stand the pace of syncopated rhythm cadences. Although it's taken two and a half years to put it all together, there is little doubt that Max Webster is ready to move up. 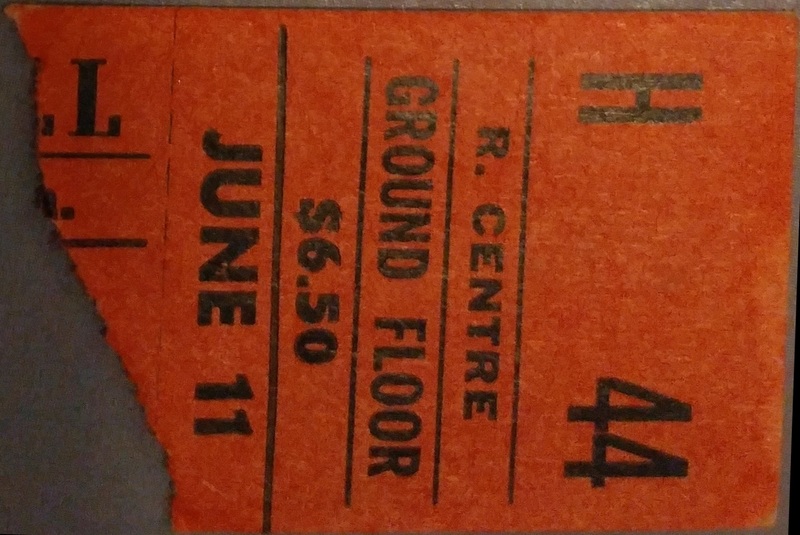 Already this summer, they've impressed as openers for Rush at Massey Hall and for Ritchie Blackmore & Rainbow at Montreal's St. Denis Theatre. Now, S.R.O. is looking for a major U.S. deal. "We've got the people here who can look out for our interests." says Tilka. "Now it's time to find that major in the U.S. who will really get behind and push." 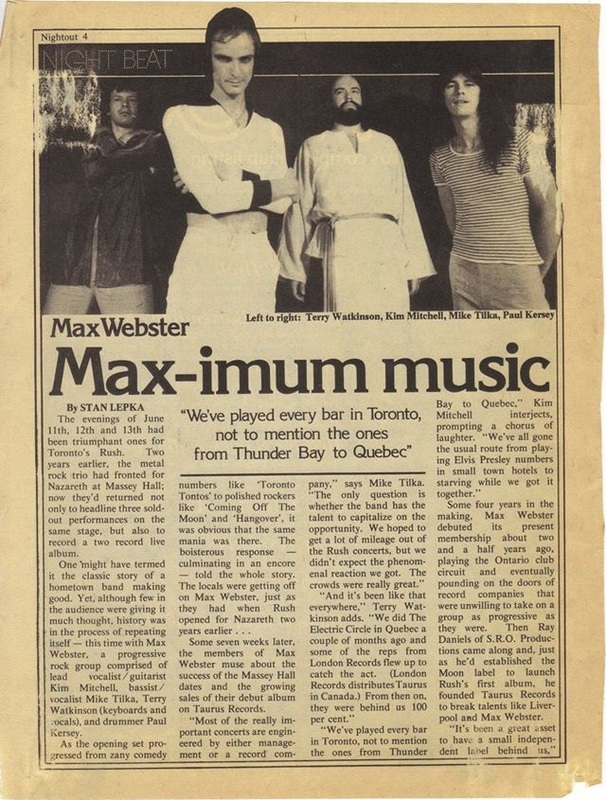 As things continue to boom for Max Webster, you can/t help feeling that history will repeat itself, with the band perhaps making their big impact stateside and then returning home to record their own in-concert album — some simply titled 'Max Webster Live At Massey Hall'.